I love sports jerseys.Did a search for prior threads on jerseys, but they are usually very specific and are usually people just wanting sources to buy the latest one. Let this be more of a general thread where all discussions on Bd jerseys can happen, and also act as a sourcing spot. I wanted to make an image like for a long time, so finally got around to it. Put all the different versions of the national team jerseys from the past years in one place. But there are some which I could not get an official pic of or a front shot from a match. So if there are any missing, and you find an official pic or a frontshot (from a match, where the whole jersey can be seen unobstructed and relatively crease free), then please give me that pic, and I will add it to the collection. This is just a little road to the world cup thing. But my ultimate goal is to compile every single version from our ODI history. I have a custom 2012 WI ODI one with my name. But my all time favorite is one which was designed by a Robi Odommo jersey competition, but didn't get selected as the winner. The winner instead was the 2016 t20 wc one, the pattern of which was also used for the majority of the ODI games that year. 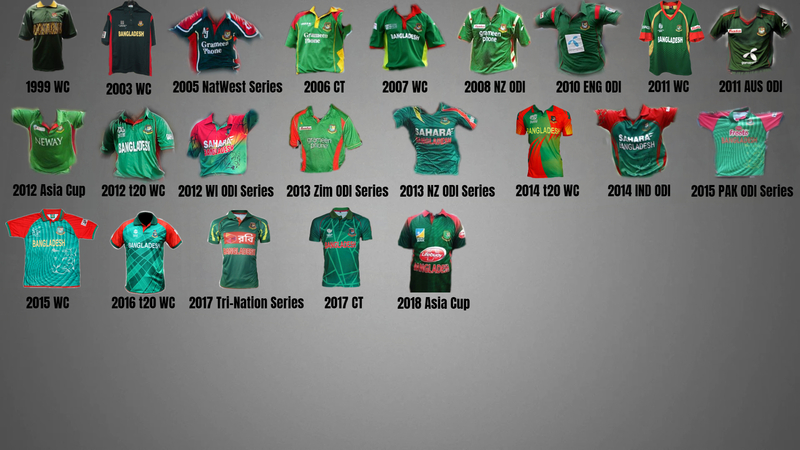 youre missing the red shirt with the green sleeves worn during the 2016 T20 world cup qualifiers. Maybe not the best, but they were different from the same old boring greens that are worn by more than 60% of the cricket playing nations. anyways my pick is 2015 wc. we had the most success with that jersey and i like that shade of green. the tiger white is a nice touch as well. Yep, and it will be easy to get an official shot for that too. So the reason I didn't include it because there is already had a 2016 t20 wc representative in the pic, which was worn the most. There were some red ones that year. And I remember Pakistan thrashing us in one of the games while we were wearing red. I think they never went back to red after that. I agree. Normally you know, we do have a copycat tendency, it comes out even subconsciously. But that one jersey stood out from all other ICC members, and the spiraling ripples was just unique! Best one worn on field imo. Agreed. I think it should have won the 2016 t20 wc jersey design competition hosted by Robi. If you liked the tiger in the 2015 one, this one has an even better camouflaged tiger. Do you see its eyes? So dope! I liked the 2007 World Cup one. And also the Windows 10 designed one they had a few years ago. Especially the cap. I like the current one but these two are my favorite.. The Taskin one is from his debut in 2014 ODI series vs India. That is a clean shot, I can crop the jersey and add it to the collection for another future edition, comprising of more jerseys. Thanks. Would you know what series is the Shakib one from? And would you have a clean unobstructed shot of the jersey? The series right after Cricket World Cup 2011. Australia v Bangladesh. The one where Watson made 180 in of the matches. It's from the 2011 series vs Australia. Can't find a unobstructed shot. ^ Yep. Thanks. I found a shot, a little creased, but will do. now lets see if you can do this. Collect the actual jerseys instead of just the pics. Would be a very awesome collection hobby. expand to other countries afterwards. ^ Really now? I would disagree. We don't know strictly speaking. BCB does not disclose the manufacturer. It could be any number of garment houses in Bd. Nike produces India's latest one, and they have disclosed some tech that they use. But apparel science is not rocket science. I am sure Bd's latest jerseys from 2011 onwards have thermoregulation (for eg. Nike's drifit tech), and optimum seaming for mobility. This was the jersey used for Bangladesh tour of England in 2010. The same jersey was used for Australia tour of Bangladesh in 2011. Thread starter can add this to the collection. This was also my favorite jersey from New Zealand tour of Bangladesh in 2008. Similar jersey was used in Bangladesh tour of Australia in 2008. Very nice shots! Will be easy to crop. And it's great you know the series. Yep, this will be added for sure. I have also got the 2014 India one and 2011 Australia one thanks to Tiger Z . Will be putting the new one out soon. In the mean time, anyone else, please feel free to send me unobstructed shots and series name, if any come to mind. There was one when we first stared : green top and yellow bottoms. I have updated the stock with NZ ODI 2008, Eng ODI 2010, Aus ODI 2011 and IND ODI 2014. Thank you Tiger Z and Hoodlum for your shots and series mention. I could not find a proper shot of the tiger sleeved jerseys, which I agree with Adamnsu, was the most hideous design. But still a piece of history. Please let me know if anyone find an unobstructed shot for that, or any other jersey and series name that you remember. 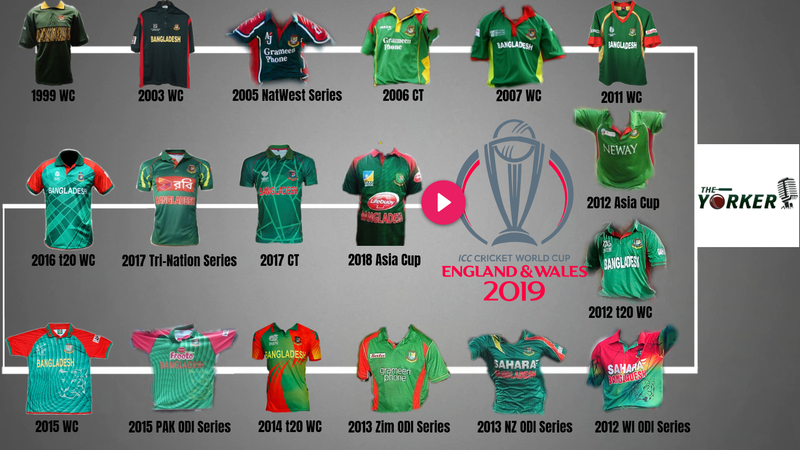 That tiger sleeved jersey was from Asia Cup in 2000. Couldn't find HQ pics or clean shots of the jersey anywhere since its too old. 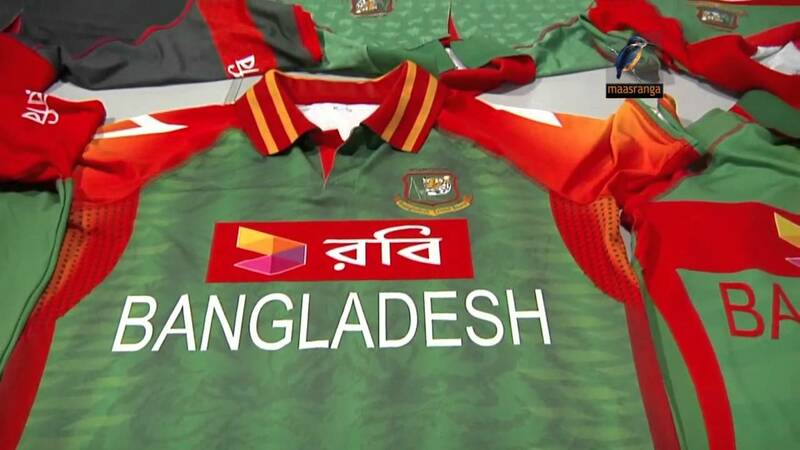 Nevertheless, its the worst jersey of Bangladesh cricket team anyway.